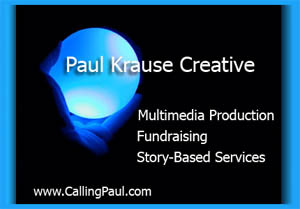 Paul Krause is President of PKCreative. A long-time resident of Northfield Minnesota, Paul has dedicated his time and talent to making a difference in the lives of those he works for and plays with. Trained as a professional economist, he has taught in a number of universities in Canada and the US. After a stint as a string instrument repair-person, he found his way to WCAL-FM at St. Olaf College. 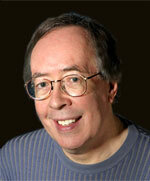 Once there, he worked as a radio producer, announcer, development director and business manager. Since 2001, his focus has shifted to video production and the graphic arts. Now, totally overwhelmed by all the skills accumulated over the years, he is active on a variety of fronts. At the same time, he is essentially a storyteller, somone who tells stories visually, musically and orally. Check out his blog: A day in the life of a video producer.